My mother discovered Chinatown when I was about 10. We hadn’t been in Sydney very long at that point, and Chinatown was the most amazing place to a little girl from Bloomington Indiana. I loved going there. My mom and I would wander around the stores jam packed full of food and dishes and clothes and toys – all of it completely different from anything we’d even seen before. The supermarkets were the best: small and cramped, but stacked high with all sorts of new and interesting foods to try. Sometimes as we would gaze wonderingly at some unknown ingredient, a shopkeeper would come up to us and give us an on-the-spot lesson in how to cook with whatever we were looking at. Thus began a long tradition of Chinese-inspired and wok cooked meals. I still have the first wok that she bought back then. 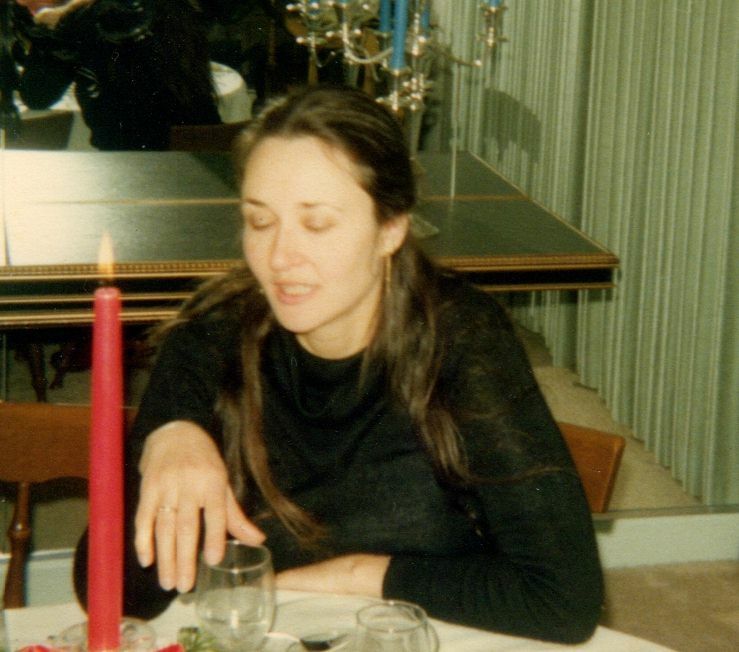 This was around the same time that she gave up eating red meat; the first stage in a series of dietary shifts that I refer to as the little ‘b’ bohemian phase of our family food tradition. The main meat that we ate then was chicken. 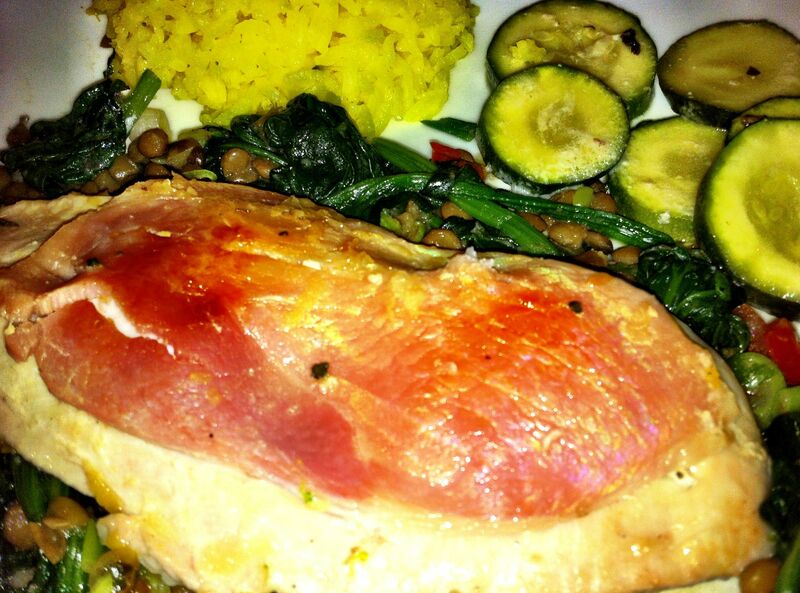 Most meals were vegetarian, and sometimes we would have fish, but chicken featured often. 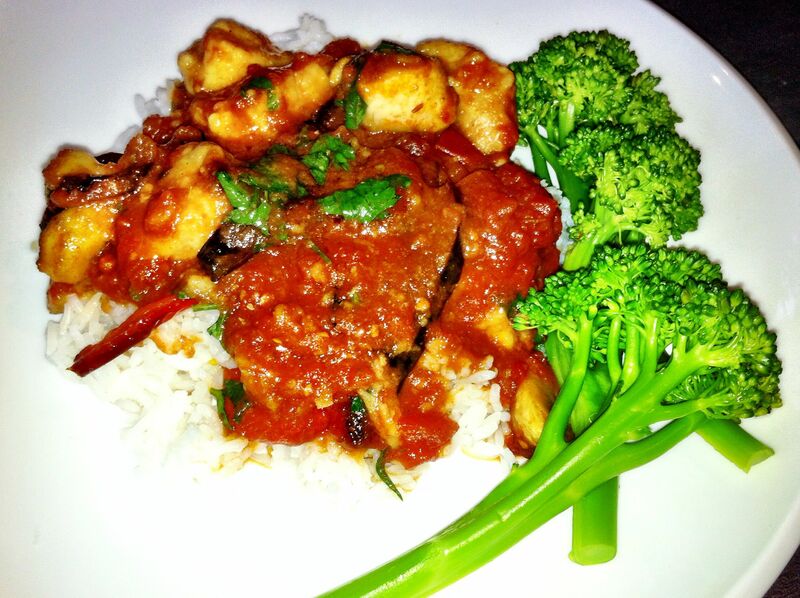 We had quite a repertoire of chicken meals, but much of the time we would just stir fry chicken and vegetables. 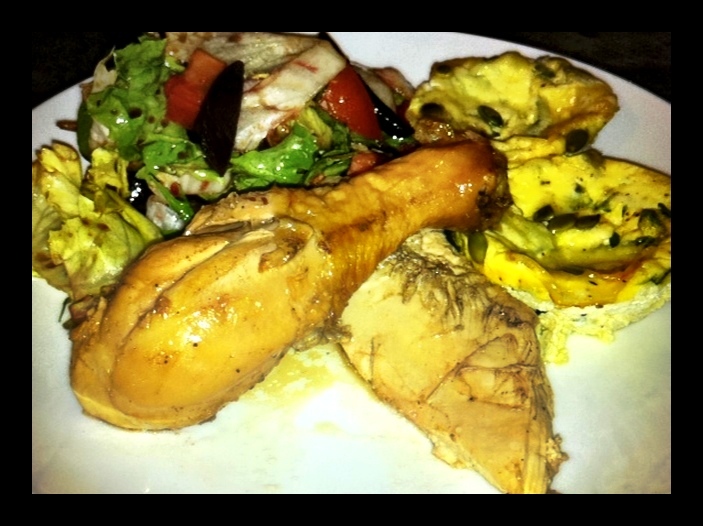 This recipe was my Mom’s favourite way to cook chicken because it is delicious and so easy. Everyone who knew her has had this chicken – she made it a lot. I haven’t cooked this recipe in many years. I couldn’t – who would have thought the memories brought by a recipe could evoke such strong emotions? I must admit that I shed a tear when I made it. I cooked it in the matching pot that she gave me, as she did, and served it with a huge green salad. A real walk down memory lane and an important reminder that there are far more imporant legacies than houses and money! 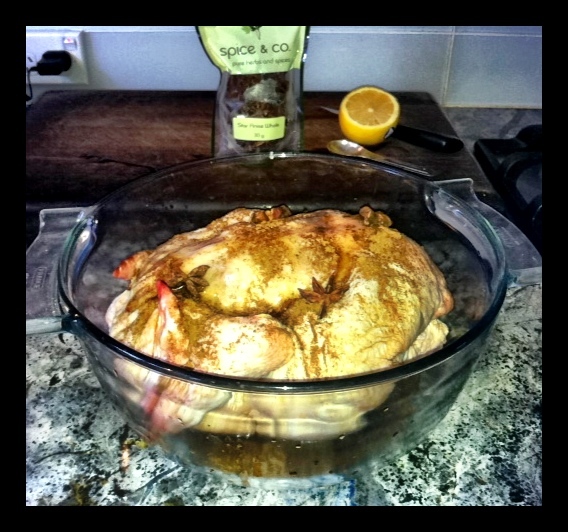 Pour water into a large roasting pot and place chicken in breast side down. Spread all other ingredients over the chicken. Place uncovered in oven at 100C. Cook for 3 hours, basting every30-40 minutes. 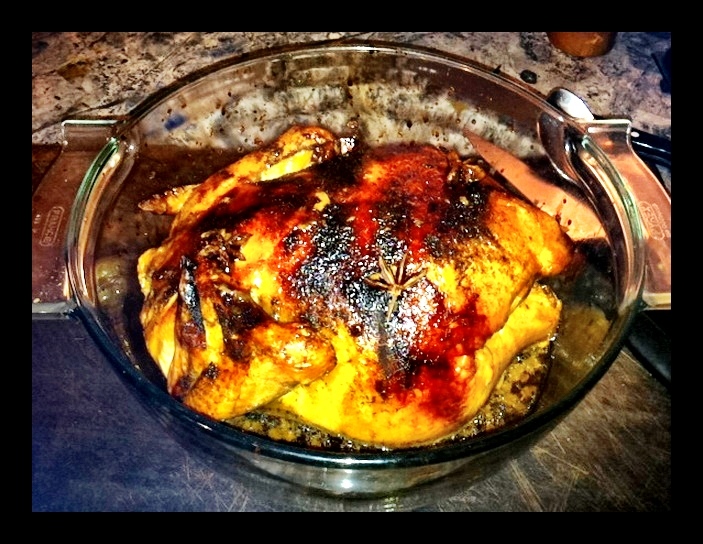 Turn heat up to 170C and cook until chicken is cooked. Baste frequently. Cooked slowly and breast side down, the white meat will be tender and juicy, and won’t overcook. Serve with stir fried vegetables or lots of fresh green salad. I have a friend who is Chinese, and who knows all the best places to buy Chinese barbecue pork. If you happen to pop by on a day when he has brought some home he will always share. There is no pretense of incorporating it into a meal, he’ll just pull it out and you all, dig in and bliss out. Barbecue pork is one of my favourite Chinese dishes and the only other place that I tend to have it is at yum cha – which I don’t do often enough! 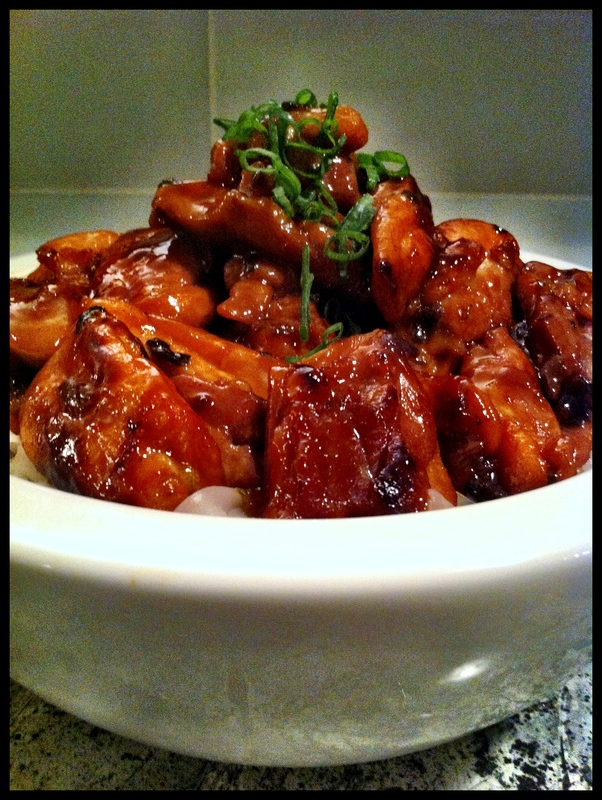 A key ingredient in this pork dish is Char Siu sauce, which is used to marinate the meat. I have stolen the Char Siu marinade idea to use with chicken to make a super fast super easy and super tasty meal – usually served on a soccer training night, when the older sprog comes home cold, ravenous and impatient. 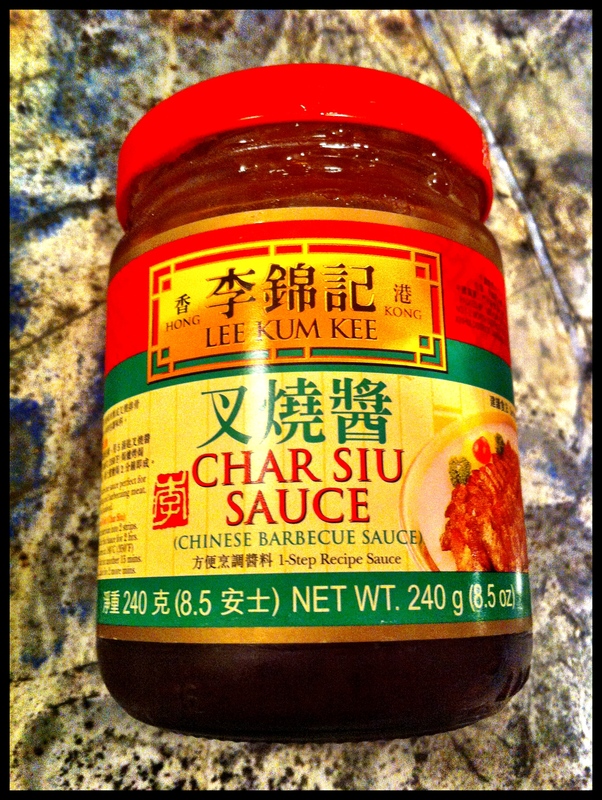 You can make home made char siu sauce, but because I am going for super quick, I usually cheat and buy the sauce. 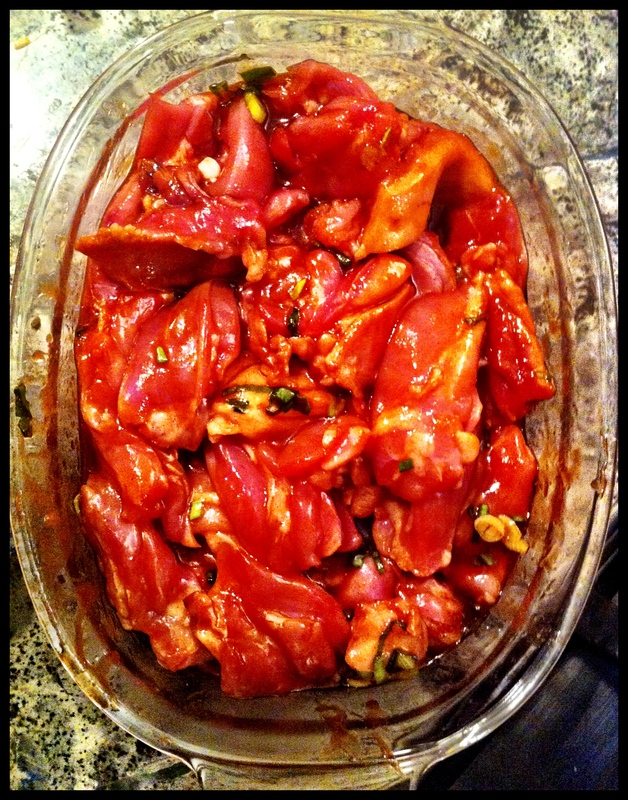 Place chicken, sauce, five spice powder and shallots into bowl to marinate for minimum of 30 minutes. 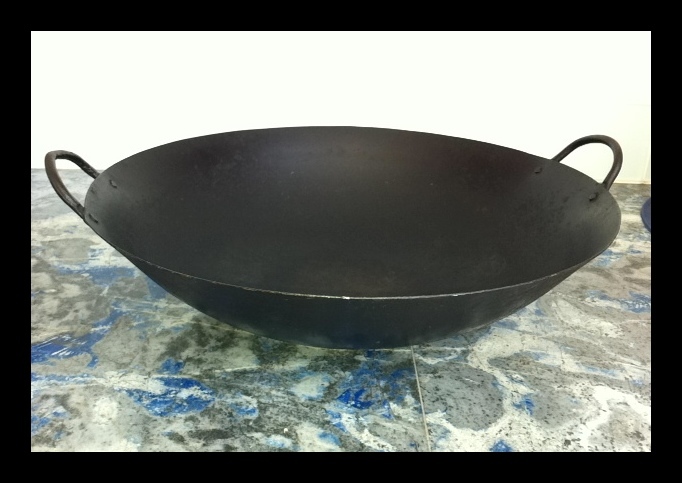 Heat oil in wok or large non-stick frying pan, and add chicken mixture. Cook on high heat until meat changes colour, then reduce heat to finish cooking. Add coriander and lemon juice when you reduce the heat. Serve on rice or rice noodles, with steamed greens on the side. These sausage rolls were a surprise winner at home. Wal and the sprogs really LOVED them. I was tired and in need of a quick filling meal and didn’t have any brilliant ideas springing to mind. So I went to my ‘inspiration folder’ where I keep notes and recipes gathered from friends, magazines, newspapers and any other source that grabs my attention. In there I found the perfect inspiration to match my energy levels and the contents of my pantry. This recipe is adapted from Australian Good Food, July 2010, p129. Line 3 pastry trays, and preheat oven to 180C. Lightly saute leek in the butter, set aside in large bowl. Add mince, onion, carrots, capsicum, tomato sauce and basil to bowl and mix well. Cut pastry sheets in half. Divide chicken mixture into 6 portions. Spread a portion along the length of a cut sheet of pastry to create the sausage. Fold pastry over the mince and press the pastry together to seal. Cut the pastry roll into three equal portions and place on baking tray. Repeat with remaining mince mixture and pastry. 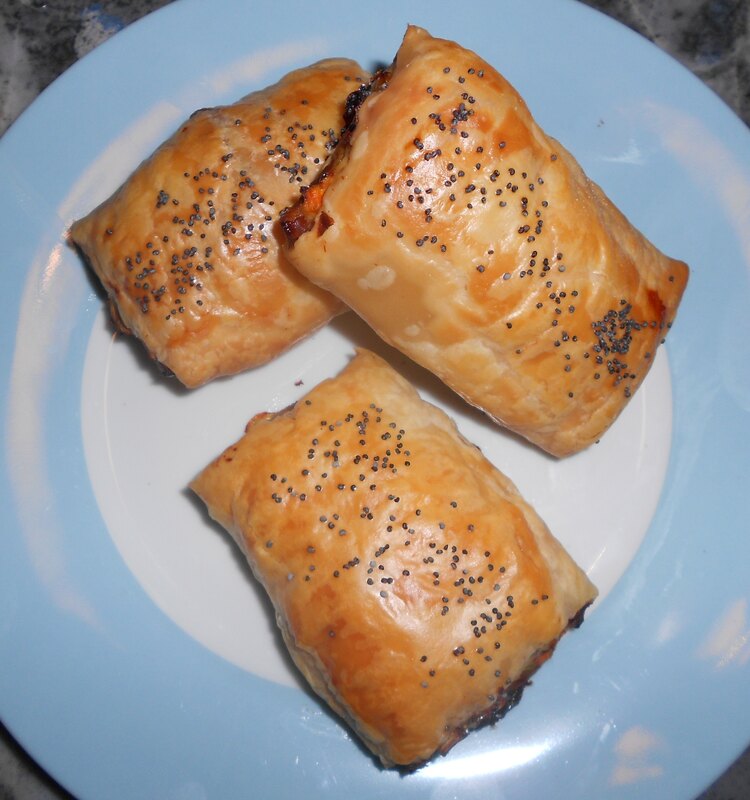 Baste each sausage roll with the egg, and sprinkle with poppy seeds. Cook for 30-35 minutes, until puffed and golden. I served the sausage rolls for dinner with salad and vegetables on the side, but they could also be used for appetisers. If planning to do so, I would cut each pastry roll into 4 pieces rather than 3.